Study the construction of the hand. 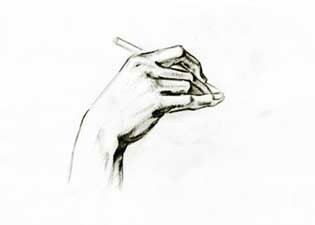 Try doing several drawings of the hand from different angles. Study and copy drawings of old masters, there is a great number of them that you can find on the Internet or in books. 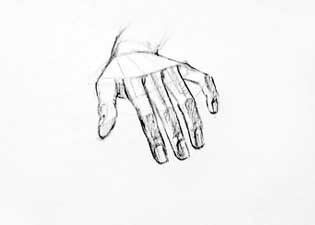 It is strongly recommended that you study the anatomy of the hand if you want to draw it correctly.